Mariam Ghani, A Brief History of Collapses, 2011–2012 (two-channel HD video installation, color, 6.1-channel sound, 22 min., dimensions variable). 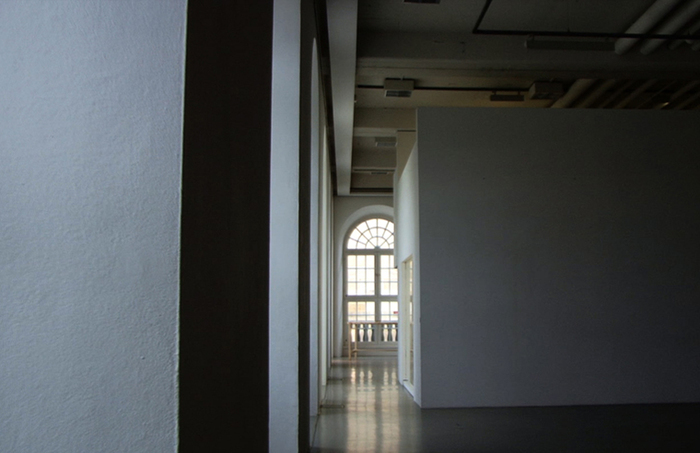 Commissioned and produced by dOCUMENTA (13), with additional support provided by the Graham Foundation for Advanced Studies in the Fine Arts. Photo: Roman März. Courtesy Mariam Ghani. 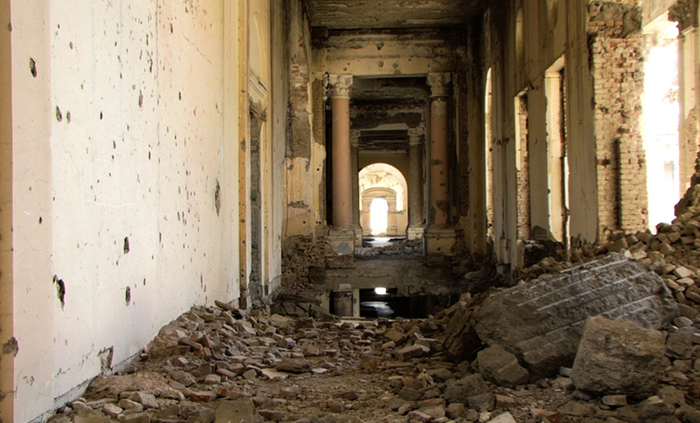 The Dar ul-Aman Palace in Kabul is a ruin, but was once part of a reformer-king's project to build a new kind of city; the Museum Fridericianum in Kassel was a ruin, but is now restored to its original purpose, as the first public museum in Europe. Each represents a specific moment in which an impulse to open society was crystallized in architecture; and each also records, on surface or structure, a series of blows delivered to those ideals, which resulted in the collapses of both dreams and buildings. Because King Amanullah's early twentieth-century project of Afghan modernization deliberately evoked the order and principles of eighteenth-century German neo-classicism, the two buildings also share details of layout and ornamentation. 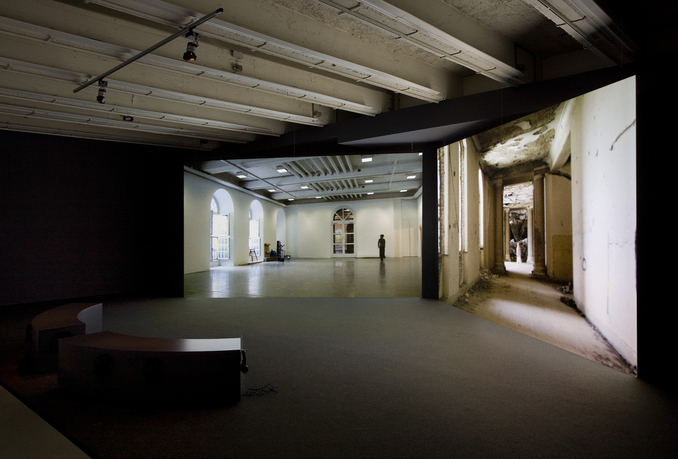 The two-channel video installation A Brief History of Collapses, which premiered at dOCUMENTA (13) in Kassel and Kabul in summer 2012, traverses the two buildings in parallel courses to explore both similarities and differences in their structures, histories, uses, and myths. 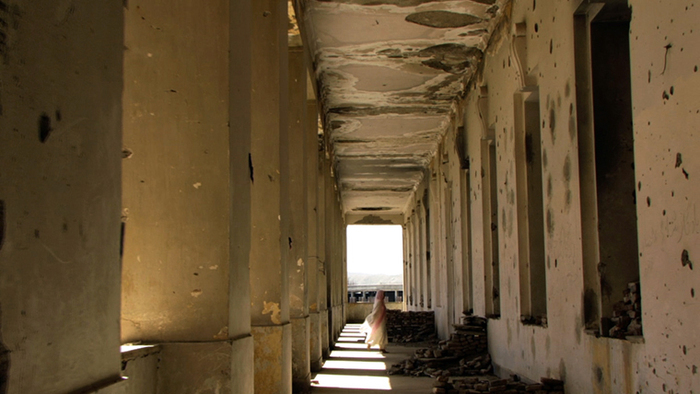 Mariam Ghani's videos and installations have been exhibited and screened internationally, at venues including MoMA in New York, the Tate Modern in London, the National Gallery in DC, the Rotterdam Film Festival, and the Sharjah and Liverpool Biennials. Her public and participatory projects have been commissioned by Creative Time in New York, VFC in Berlin and Amsterdam, CEPA in Buffalo, the Arab American National Museum in Detroit, and Turbulence, Longwood, and artwurl online. Her texts have appeared in Abitare, Filmmaker, FUSE, Mousse, Pavilion, the Sarai Reader, the Radical History Review, and the New York Review of Books online. 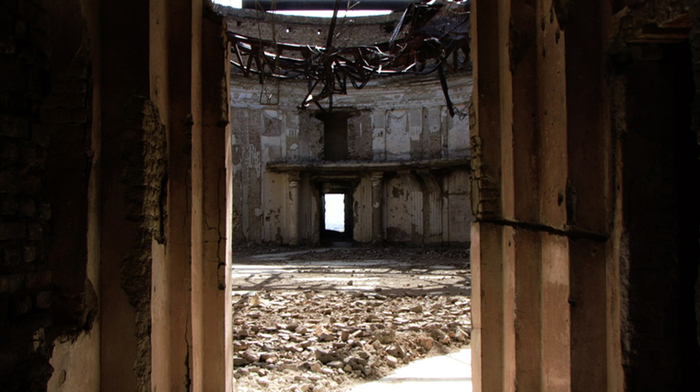 Ghani has been awarded NYFA and Soros Fellowships, grants from CEC ArtsLink, S.E.VEN, the Mid-Atlantic Arts Foundation, and the Experimental Television Center, and residencies at LMCC, Eyebeam Atelier, Smack Mellon, and the Akademie Schloss Solitude. She has a BA in comparative literature from NYU and an MFA from SVA, and is currently a visiting scholar at NYU's Asian Pacific American Institute.